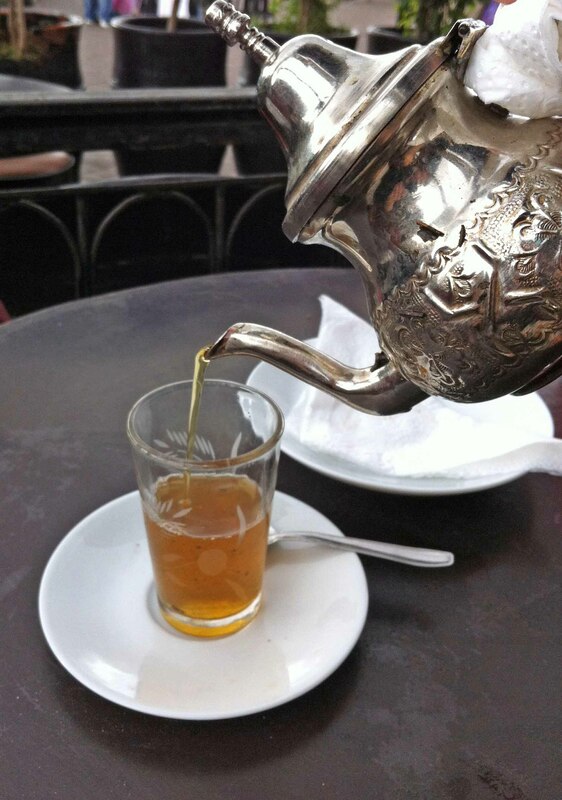 Sitting in the heart of the Medina sipping a mint tea and smelling the scents of the souk, I reminisce over the food memories created during my mini break in Marrakech. On my first night in Marrakech, I was tantalised by a beef and prune tagine. 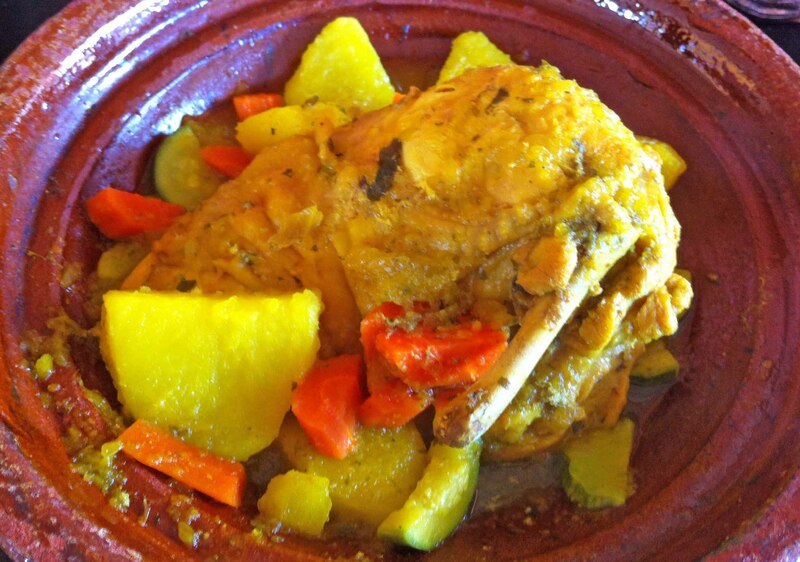 Tagine is the quintessential Moroccan dish. Tagine refers to the succulent dish which is slow-cooked inside the cooking apparatus. It can be cooked with a variety of ingredients, typically, a tagine is a rich stew of meat, chicken, or fish and most often includes vegetables or fruit. Vegetables can also be cooked alone. 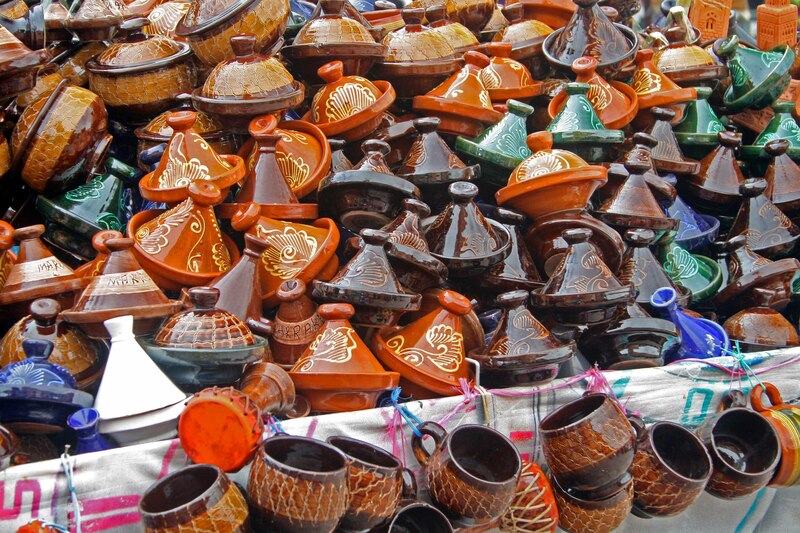 Tagine refers more to the wide, circular, shallow earthenware container with a distinctively shaped rounded dome or cone that the dish is cooked in rather than the name of the dish. 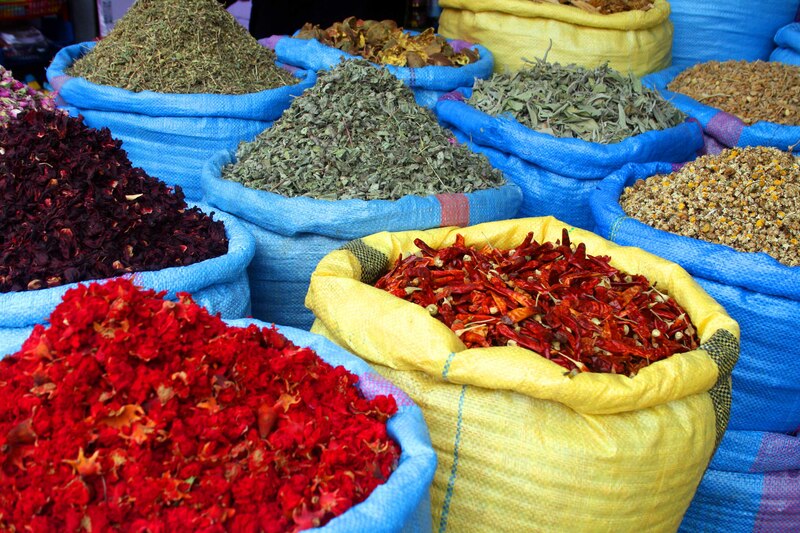 The Tagine is a humble dish. As the dish is slow cooked cheaper cuts of meat can be used, maximising on flavour without needing prime cuts of fillet steak to enhance the dish. The beef and prune tagine; juicy and flavoursome, rich and sweet. 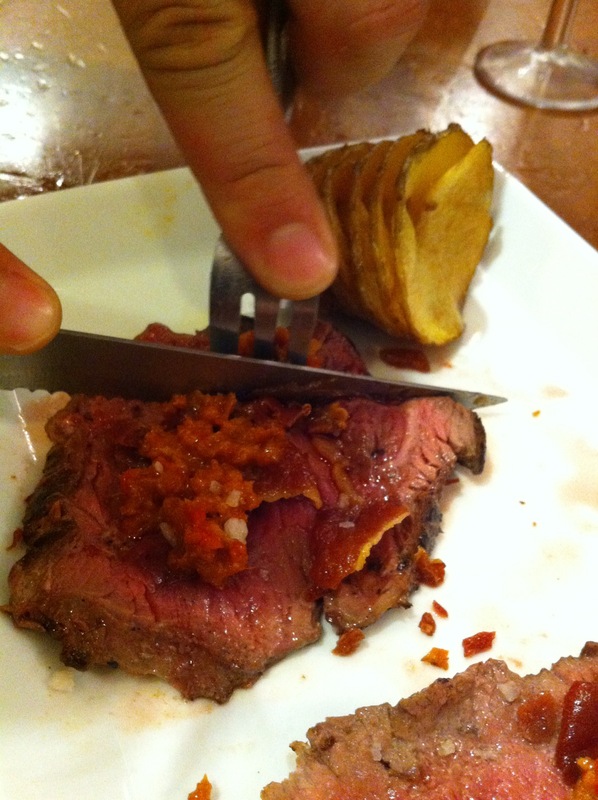 The beef was flaking off the fork and at the same time gelatinous in consistency. Beautiful. Another gorgeous Tagine was the Tagine du Poullet (Chicken Tagine) I had whilst overlooking the Djemaa El-Fna Square with its myriad of alleyways. 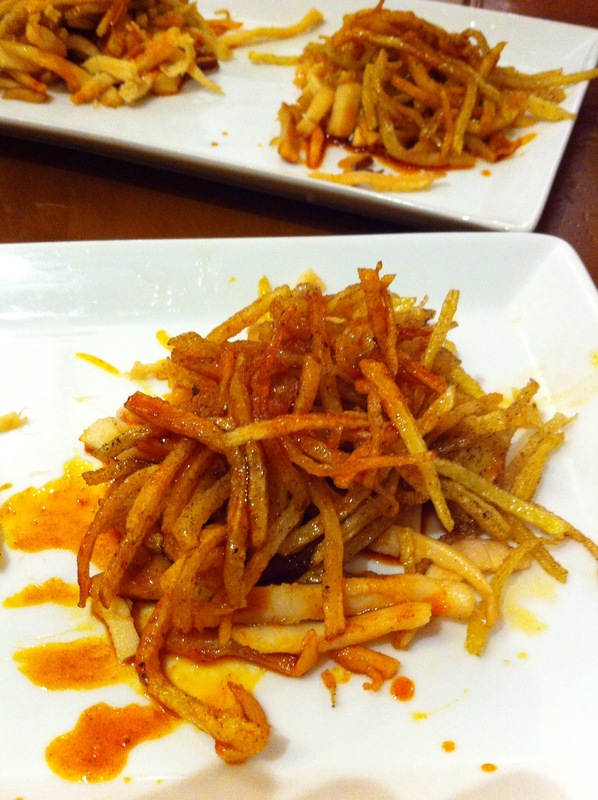 No the photo has not been oversaturated, the saffron content of the dish must have been set to psycadellic levels! 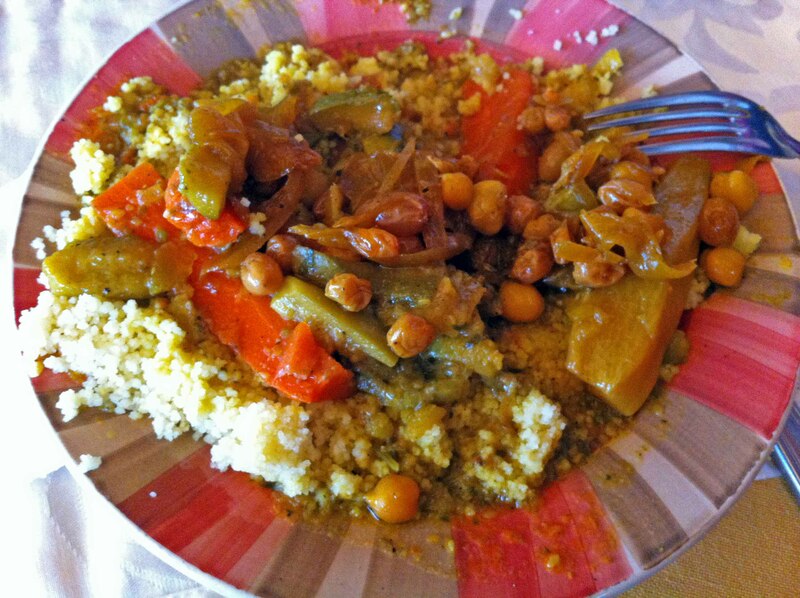 Another Moroccan delicacy is couscous. These baby grains of semolina are sweet but very bland making them a great vehicle to carry bold flavours. At a restaurant overlooking the Djemaa for 10MAD we ate a Starter: Moroccan Salad, Main: tagine/couscous & Dessert: Oranges. Unfortunately we were in a rush and the pace of the service at this restaurant was also quintessentially Moroccan! We had to forgo the oranges. Priscilla and Henry would be appalled at our total lack of respect but as you can see from the couscous both the need for speed and greed meant that I started attacking the plate before I remembered to take a photo of it! 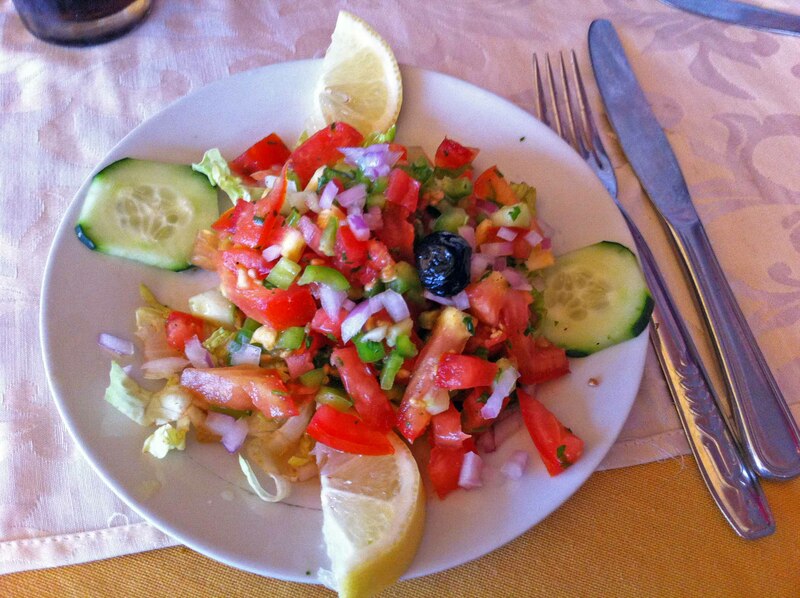 WARNING: Moroccan food is delicious, yes, but very rich and sweet. At some point you are going to need a break from all this tagine malarky. There are two great restaurants outside the Medina in the Ville Nouvelle, La Rue Yougoslavie; Azar and Le Chat Qui Rit (both recommended by Lonely Planet Guides) are a break from all this. Azar, is a Lebanese restaurant that serves amazing food – I recommend going for one of their Mezzes to share and a bottle of wine. We tried the Local Vin Gris (Grey wine) which was a great accompaniment to the mezze. 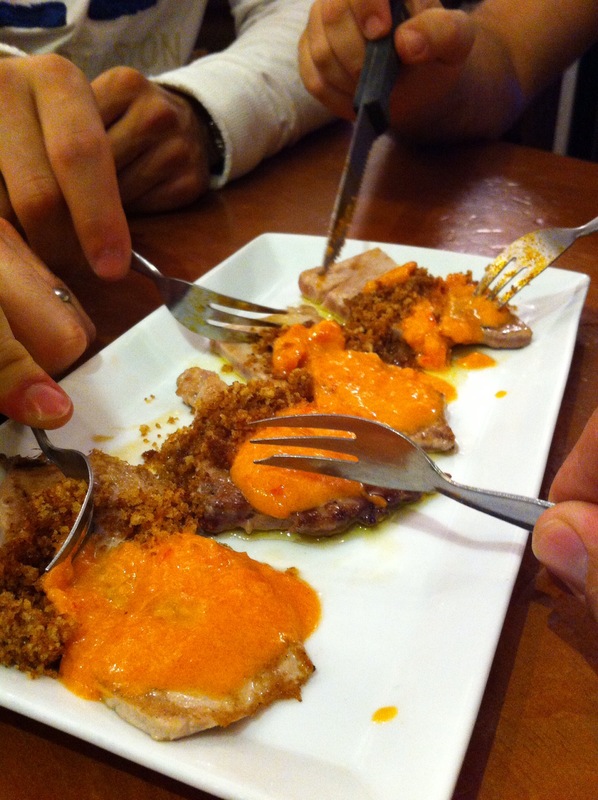 Le Chat Qui Rit is an Italian restaurant – I recommend you share a starter and pick any main off the menu as they were delicious but whatever you do you MUST leave room for dessert. Pick the Profiteroles! Choux Pastry wrapped around a huge ball of vanilla ice cream covered in the most decadent chocolate sauce and topped with toasted almonds! Sorry, no photo, greed, once again is my excuse! Pack your bags, get yourself over there, have a glass of freshly squeezed orange juice on the Djemaa, walk around and eat at the different stalls, establishments and restaurants. 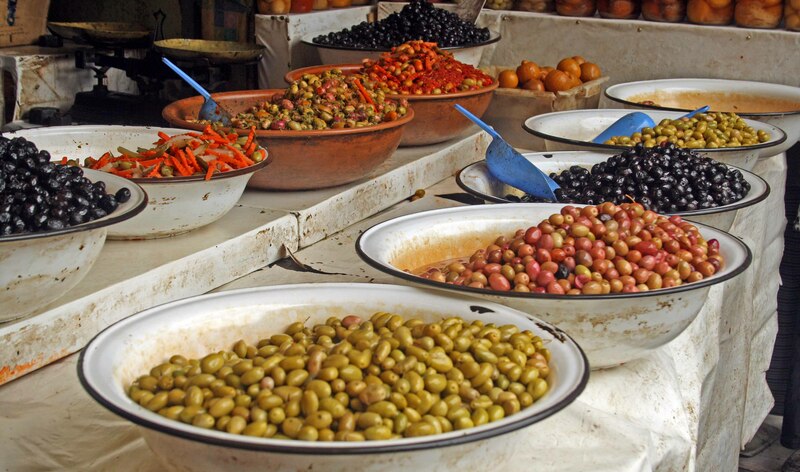 Smell it all in, savour each bite from the slow-cooked tagine to the street food brochettes (pinchitos) then wash it all down with a glass of hot, sweet mint tea. 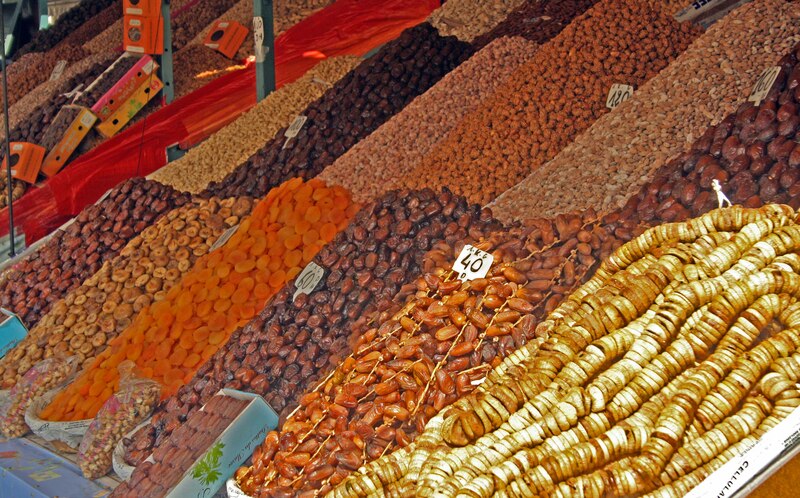 Marrakech, a crazy city full of mystique, culture but above all, food. C’est bon – Bon Appetite!